Tom and Debbie Kuhn were walking section by section through J.C. Penny with a list. On it are a few items: a pair of rain boots, a new watch and gardening tools. “We do a lot of our Christmas shopping the day after Christmas now,” Debbie Kuhn said. Shopping the day after Christmas might be unconventional, but it saves her some money, Kuhn said. Debbie Kuhn, now retired and living in East Berlin, worked in retail for more than 30 years, she said. She finds that shopping the two days after Christmas is when most stores are trying to discount their surplus items. 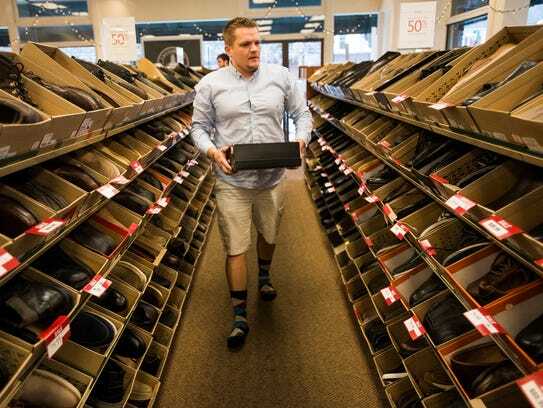 There is an uptick in business the days immediately following Christmas, said Don Hamme, assistant manager at Clarks Bostonian Shoe Outlet in Hanover. When customers come in to return shoes, they usually end up buying a replacement and something for themselves, Hamme said. While most people associate Christmas shopping with clothing, jewelry stores are busy right after the holidays as well, said Clair Thoms, from Biglerville. Thoms was at Littman Jewelers in the North Hanover Mall with her daughter, Kayla, to splurge some of her Christmas money, she said. 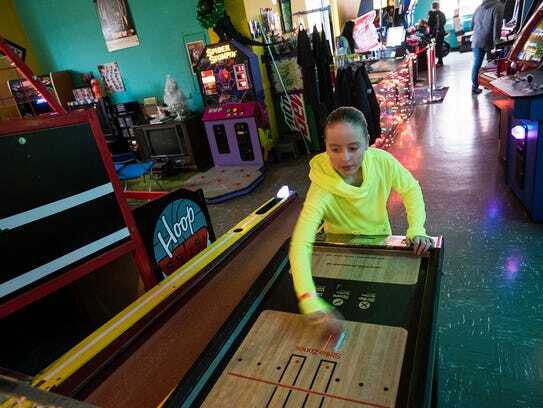 Day-after discounts and returns aren’t just for clothing and jewelry stores, said Brandon Spencer, owner of Timeline Arcade. Timeline sold about 300 gift cards leading into Christmas day, Spencer said. While he doesn’t anticipate people trying to return them, Spencer said he is hoping he’ll see a lot of families coming into play games. The day after Christmas falling on a Saturday is also a big advantage for businesses, Spencer said. There should be a lot of foot traffic in downtown Hanover because of people returning gifts and using gift cards, he said. 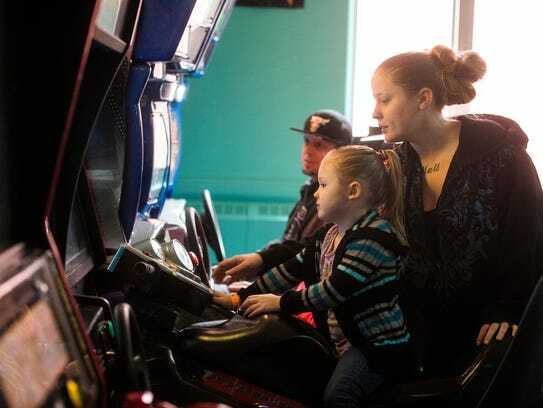 “We’re hoping to get all the families to come in here and spend some time with each other playing games,” he said.